Needless to say it was incredibly fun and everyone involved thoroughly enjoyed the scenario, even the two 10-year-olds who more or less gave up on the battle and just played with my other miniatures! Firstly, it took me quite a while to assemble all of the necessary miniatures for the game. In total there were 60 Vikings and 49 Norman figures to collect. I was able to find a few sets of painted figures as lots on eBay. Most of these had to be, at the least, (re)based and flocked. The miniatures were assembled from several companies and are mostly metal, although some of the Normans are from the Conquest plastics line. The Norman cavalry are all mine from flash trimming to sealing and I’m quite proud of how they turned out! The table set up was pretty straight-forward. The focal point of the map is the Norman fort, set atop a small hill on a headland between the English Channel and an unnamed small river estuary. In the original scenario it was just a simple wooden walled fort with a single gate. In my imagining, the Normans made use of an existing old Roman stone watchtower and added some dark age palisades to fill out the hilltop. To accomplish this I had to wet the sand on the entire table to sculpt the right contours. I stole the idea from somewhere on the interwebs to paint the top of my table blue so that all that is necessary to create water is to move the sand out of the way, and that is exactly what I did for the ocean and river on this board. I set up the fort temporarily to get the dimensions just right, but then removed all but the stone tower, which I had to party bury to get the scale right, so that I could ‘seal’ the sand. I picked up this trick over at TMP – The Miniatures Page (a fantastic resource for all sorts of miniature wargaming). This involves mixing a solution of PVE (Elmer’s style) glue with water (warm water works best) in a spray bottle. A 50/50 mixture works best but sometimes will gunk up the spray bottle so I usually go with something less, closer to 3:1. I add in a bit of Evergreen paint to give a subtle grass effect to the sand as well. Once the water dries out on the sand it creates a ‘crust’ that will stand up to all but the most brutal finger stabbing or digging of mini bases. I let that dry for about a day and then put the finishing touches on. The road is of a dark brown craft sand and a simple ‘stencil’ made from cardboard to keep the edges crisp. The woods were not a part of the original scenario but I thought they added a nice visual touch and gave me an idea to add into the scenario as well, which didn’t end up playing much of a factor at all. Some loose green flock thrown liberally around the table completed the effect of the grass areas. I then went back and used dry, un-sprayed sand swept up with a large brush to create the beach areas, which don’t show up particularly well in photos but were quite good-looking in real life. The fabulous resin longships are from Adrian's Walls. Palisade walls by Wargames Terrain Workshop. Stone tower from Blue Moon Manufacturing. In the next post I will cover the army set up and initial moves. Here is a custom carousing table I am using for my on-again/off-again Open Table campaign based in The Borderlands of module B2. The standard exchange is 1 XP for 1 GP spent carousing. We have found this exchange a good balance to the intermittent nature of the game and the high lethality of B/X. Several of these results tie in with the Reputation Rules we use to add some verisimilitude to the standard B/X reaction tables. Here is a link to the PDF for printing and sharing. This Holiday, I gave my 7-year-old daughter a copy of the Moldvay/Cook B/X rules. 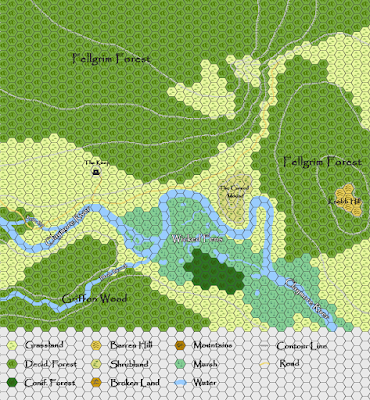 She has created her first character, an Elf named Fierce, and we are preparing to embark on her first adventure with a real Dungeons and Dragons rules set. Previously I have introduced her to RPGKids (which is a great introduction to roleplaying) and Pocket RPG (a lite RPG rules set being developed by +Brandon Goeringer ). As we progress into a system that uses the full 6-polyhedral set of dice, I wanted a way to make it easy for her to keep track of which die is which. I'm sure someone has done something like this before but it was fun to make my own from clip art found on the web. 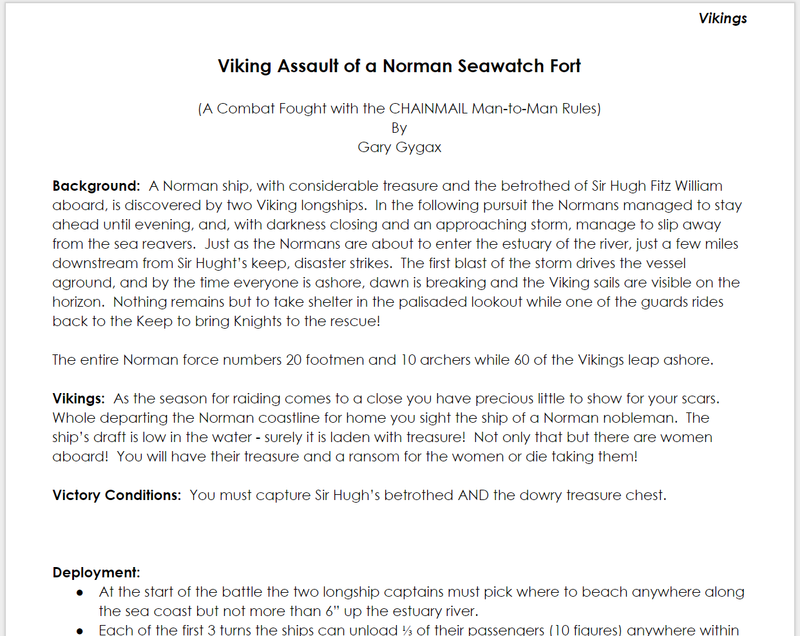 This Word Document can be printed and cut into strips for each new player at the table. My Father said he would like to play with us, and I suspect he will need this play aid more than my daughter! I've been running my B2 sandbox on-and-off for over a year now. Some players (not many!) have survived for a while and done some deeds that should influence their experience when interacting with residents of the Outer Bailey and even some of the elites within the Inner Bailey. 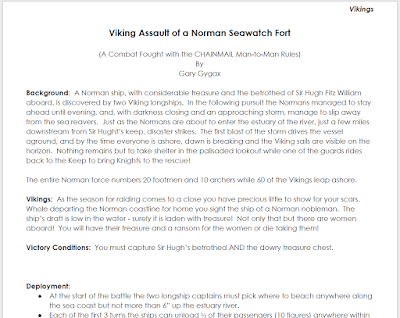 We also started using carousing rules, and many of the results suggest shifts in opinion of the character that I want to reflect and give hard meaning. It is an open table game where some time can pass between sessions and there are about 17 or so active player characters, not to mention those that now inhabit the small cemetery behind the Chapel! It is hard to keep track of events, even with good notes. I'm considering putting this simple reputation system in place to give the players a sense of where they stand in the community and to help me create a sense of a dynamic community out on The Borderlands. -3: Disliked. Most people do not like to associate with this character. Perhaps he has a cloud of some past misdeed hanging over his head or has had one too many aspersions cast at him. The power structure keeps their eyes on this character and he is likely to be questioned when anything untoward happens. Most people in the settlement or organization know the bad reputation of this person. -2: Mistrusted. No one is overjoyed to have this characters shadow grace their doorstep. He just doesn't fit it and people let it be known that they would prefer he go away. -1: Tolerated. NPCs are wary of this character but don't go out of their way to hinder him. Perhaps he is an outsider or a member of a disfavored profession...like adventuring! This is the usual default starting point for strangers and PCs in most places. 0: Neutral. Just that. The default for characters who are from that settlement or a lower rank or initiate into the faction. 1: Favorable. Most people have a good opinion of this character. He could be a local from a good family or a stranger who has proven his character and ability to be of service to the community. 2: Liked. This character's name has come up a few times at most dinner tables. He has done regular service for the community or brought success to an organization. 3: Well-liked. Few have anything bad to say about this character, and even if they do, there is certainly more good to relate. This character may hold a respected position or have done many great services to the community or organization. 4: Paragon. This character is held up as an example of what to be in this particular settlement or organization. All of the population knows who this character is and can recite his many deeds. Reputation scores affect the normal 2d6 reaction roll on most interactions within the settlement or organization they are applied to. The Charisma modifier applies as well, meaning that a charismatic character may still do well with NPCs, even though he is not well liked! Typically a 2 is always a failure, even if the character's Reputation plus Charisma modifier would indicate success. Nobody gets what they want all the time! Conversely a 12 is usually a success unless the request is completely absurd. Even a blind squirrel finds a nut on occasion! The DM may apply a specific Target Number (TN) to particular actions that are not listed on the core reaction table based on difficulty. Some examples are below. Prices will be higher, services may be refused. They procrastinate or find a way to refuse. They refuse. Critical failure may result in no help of any kind. No service. Critical failure may make it harder to recruit any hireling. You don't get the free drink. Critical failure may mean being asked to leave the tavern. No troops for you. Critical failure may result in reputation loss. +Kabuki Kaiser has hit it out of the park again with the latest release of Castle Gargantua. Castle Gargantua builds on some of the mechanical ideas of procedurally generated adventuring that were featured in Ruins of the Undercity and The MadMonks of Kwantoom. The book is written for Labyrinth Lord or Lamentations ofthe Flame Princess rules but is generic enough that it could be used as is, or easily converted, to any OSR rules system. I personally think this would make a terrific Dungeon Crawl Classics setting as well. Where Castle Gargantua departs from the previous works is that this time the sourcebook is intended to be used by a standard group of players with a GM. Of course, as the author contends you could run this with a solo group with little in the way of conversion. All of the tools are presented to organically develop an adventure that has the ability to surprise both players and Judge alike! 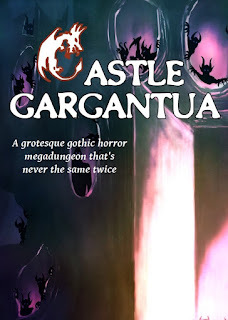 The setting for these mechanics is the eponymous Castle Gargantua, a giant magical castle of unknown origins that changes for each group that dares venture through its corridors and chambers. There are some general themes that tie the whole structure together, including guardians, beginning entry points and the sometimes giant structure of the place. For instance, instead of the standard 10' square, a grid square is assumed to be 60', creating a rather large adventuring environment. All parties begin able to enter through the giant front doors of the fortress, but from there, things can go anywhere. Each time the party enters a new room the GM throws all the dice and consults a very concise and tight table that gives him the type of room, exits, contents, ambience and specifics on monster, treasure and, of course, weirdness. There is a meta tracker called The Big Picture, that gives the GM an easy mechanic to tie a cluster of rooms together with various themes such as Stone, Blood, Lust and Wine. As if this wasn't enough there are also random Gold areas that can be encountered. A Gold area differs from the rest of the dungeon because they are mini adventure/lair areas that are completely stocked and ready to go. In fact, these can easily be pulled out of the implied setting and run as mini-dungeons, or plopped down into your favorite megadungeon. I am no art critic, but I know what I like. and I like the art in Castle Gargantua. The cover is by Jeremy Hart who also does some interiors along with David Bouchacourt de Puytorac. The illos are clean and very evocative of the dungeon themes where they are presented. The cartography for the Gold encounter areas is done by the unparalleled +Dyson Logos . The only negative I could say about Castle Gargantua is that it looks like it could play a little over the top with the weirdness, and that may not be a fit for every group out there. On the other hand, Kabuki does give advice on how to tone down some of the more adult themes that can present themselves, and those same restraints could easily be applied to tone down the weird. Full disclosure; I received a gratis .pdf copy of Castle Gargantua but ordered the premium color hardback on my own dime cuz it is that good!